Volkswagen India has teased its new upcoming Cross Polo on Facebook. We have earlier spotted the car testing in India and many spy shots thereby coupled with sources close to VW that the car would be launching soon in India. The new car as you could see in the image is covered with red cloth however it you monitor closely you could see the car has roof rails which is not available in current gen VW Polo. There are also news about VW launching Polo CNG and Polo GDI variants but we doubt this is the case as of now. 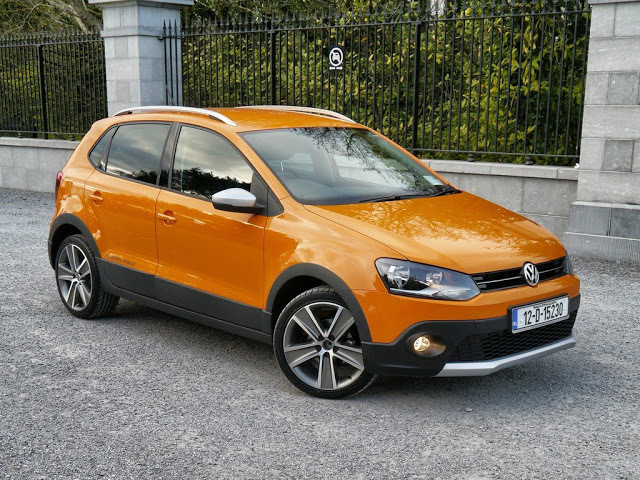 The above mentioned variants of Polo could also be launched but at a later stage. However, we need to wait and watch out for the official confirmation from the German carmaker about the launch date and what it has to posses to compete with currently prevelant Ford EcoSport and Renault Duster. Stay tuned for more !